Based on Proverbs 29:25, this is one of our most popular (and powerful) messages. 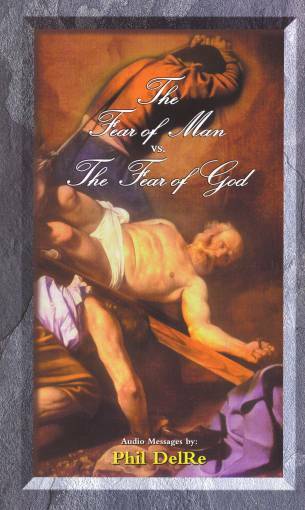 Jesus said, “If you are ashamed of Me before men, I will be ashamed of you before My father in heaven.” The fear of man is a trap. It is the reason many Christians are quiet about their faith and fail to live it out before the watching world. It was the fear of man that kept the Israelites from entering the Promised Land! This is also one of the main reasons the unregererate reject the Gospel, even when they know it’s true. On this CD you will learn how God can deliver you from this sometimes subtle, sometimes blatant form of idolatry, that will also keep you from entering the Promised Land. -Fred Tscholl Manager, WFEN Radio Rockford, Illinois.